Showing recent results 1921 - 1935 of 4490 products found. Solar modules and collectors, whether on roofs, in façades, or freestanding, are often exposed to high mechanical stress or load: A deep layer of snow or strong winds can greatly affect the materials and connections. Mechanical load test stands accurately test the durability of PV modules and thermal solar collectors. 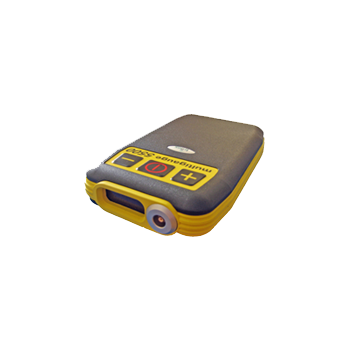 Shanghai Beihan Electronics Co., Ltd.
Special purpose AC milliammeter designed to measure hazardous leakage current from electrical appliances and other power line operated equipment. It's used for: moter operated appliances : Washing machine, electrical pump, lawn mower, refrigerator, electric drill, electric fan, vending machine. Electrothermal appliances : Toaster, electric stove, electric curling iron, hair dryer. 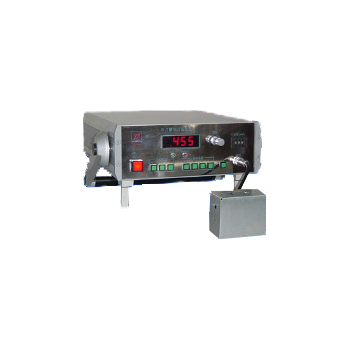 Electronic appliances : Microwave ranges, TV receiver, welding machine. Light source appliances : Projector, duplicator and photographic enlarger. Other Appliances : Portable generator, burglar alarm, medical and dental equipment. 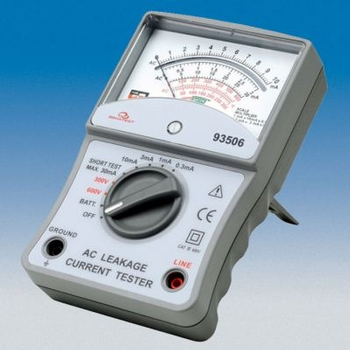 It is the test equipment used for measuring continuous leakage current and patient auxiliary current of medical electrical equipment. Full line of megohmmeters with test voltages 50V to 5000V. Capability to measure insulation resistance up to 10T. 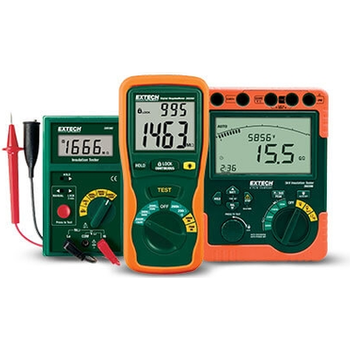 These rugged, weather resistant meters are accurate, reliable and built to perform. Battery, AC Powered & Hand-cranked models available. 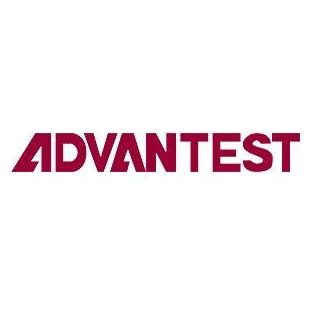 Wafer-level testing of DRAMs, NAND devices and other non-volatile memories used throughout portable electronic devices. The T5822 is designed to provide manufacturers of multiple memory devices with cost efficiency and optimal functionality, including full test coverage of as many as 1,536 devices in parallel with data transfer rates up to 1.2 gigabits per second (Gbps). Mounts onto a belt or chest harness for hands free use. Bright LED display. Top display for convenient viewing. LRT 6000: The right solution for impedance resistance measurement in compliance with all aircraft specifications on plane, helicopter, rocket, army vehicles for both production andmaintenance. It is a very easy-to-use and versatile instrument. Its ergonomics allow the user to use it either placed on the ground or across one's shoulder or chest. Awide back-lit LCDdisplay combinedwith an intuitive keyboard ensures simple and easy operation. Modbus Poll is a Modbus master simulator designed primarily to help developers of Modbus slave devices or others that want to test and simulate the Modbus protocol. 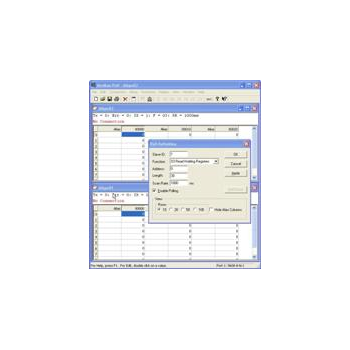 With the multiple document interface you can monitor several Modbus slaves and/or data areas at the same time. For each window you simply specify the Modbus slave ID, function, address, size and poll rate. 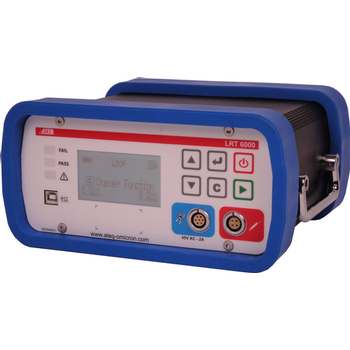 The PA-42 provides loop-back and remote testing of installed and uninstalled STP/UTP and BNC coaxial cables. 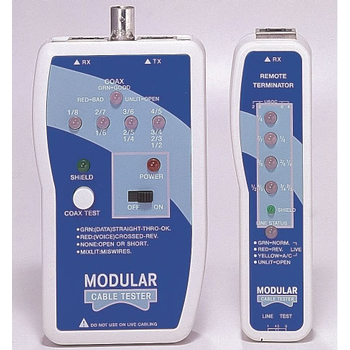 A shielded RJ-45 jack lets you test modular terminated RJ-45, RJ-12, and RJ-11 cables such as USOC 8/6/4/2. 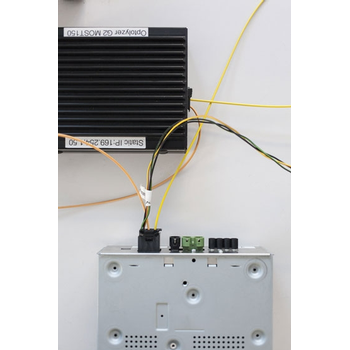 A built-in BNC connector lets you test coaxial BNC cables. Features a tip/ring polarity test. The TC702 is the Gigabit Ethernet module for the FC-1 modular platform. The FC-1 platform is Deviser's newest modular platform with advanced technologies that host a wide-range of test and measurement modules. The TC702 supports both RFC2544 and Y.1564 testing, enabling the user to guarantee service level agreements for Ethernet services. King Design Industrial Co., Ltd.
Test rack dimension is 370cm x 240cm x 350cm; sufficient to install the 260cm x 220cm x 200cm test module and run test. 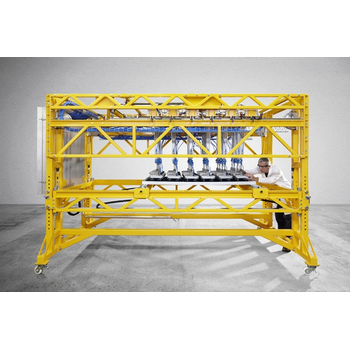 Accept customized order.Test rack: made by a20 I-beam; coated by paint.Rack earthing: need 12mmx8 round holes to install anchor bolts.Test module fixing rack is made by two 2500mm 80x80mm standard aluminum beam in transverse direction; fixed on the I-beam of test surface by specific right-angle fixer; about 300mm above floor. 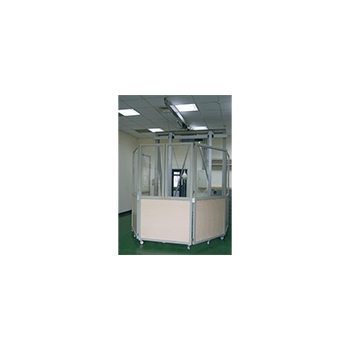 The workable vertical space is about 2300mm; there are 2x2600mm aluminum beams installed in longitudinal direction and fixed by specific right-angle fixer on the transverse aluminum beam; the width is adjustable per test requirement. The TYU-2002M Type Single Silicon Steel Sheets Testing Instrument made by Luodi Tianyu Electron have many advantages such as little weight、small size、portable、simple test、stable performance and so on. Meanwhile, it can test the losses and magnetic induction and have fully compatible with method which recommended by the national standard GB/T13789-92. It is adapted to test the iron loss and magnetic induction parameter of cold rolling orientation, non-oriented and hot rolling silicon steel slice with various thickness. TESTERLYZER is the test system for network testing and for the MOST Core Compliance test which accompanies development processes. TESTERLYZER has a modular structure and consists of the system components TESTERLYZER pro Compliance (testing software) and TESTERLYZER Box (measuring and automation hardware), as well as two Optolyzer® modules by the company SMSC, which provide an interface to the MOST bus. 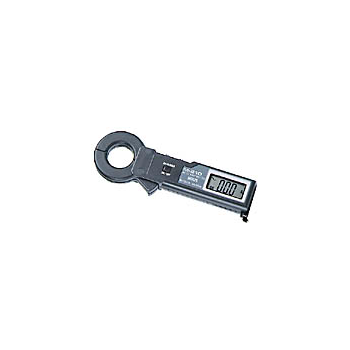 M210 - MULTI MEASURING INSTRUMENTS Co., Ltd.
23mmφCT window and ultra compact size.Data-hold function. Especially useful when working in dark or hard to get areas.